February is Pet Dental Health MonthKeep your dog’s teeth pearly white! Learn more about the health of dog’s teeth in Dr. Brenda Johansen’s article. Insiders tip: Keep an eye out for discounts on dental products during the month in your local Barkley’s Boutique! Did you know that pets suffer from dental disease just like people do? One of the worst things about dental disease is the pain. Dogs and cats don’t always show how uncomfortable they are. Pets can have very serious dental problems – such as infections or abcesses, tumors or fractured teeth – and never say “ouch” or hold their paw to their jaw. But they DO hurt! Often, when these problems are corrected a pet’s entire personality can change. They often become more social, interactive and playful because they are no longer in pain. So how do you check for dental disease in your pet? First, look for yellow or brown discoloration of the teeth, not just in the front teeth, but also the back part of the mouth. While this sounds very simple, most pet owners never lift their pet’s lip and look inside the mouth. Lift the lip! Next, just smell the breath. It may not be minty fresh but it should not be foul smelling. If it is, bad bacteria have already developed and are working on infect-ing the gums and even loosening the attachment of the teeth to the jawbone. This means that dental disease has been progressing for months or years without you knowing. A complete veterinary dental exam is necessary to discover hidden dental disease. Most veterinarians today offer dental care in their practice – if your veterinarian does not offer dental care they can refer you to one who does. The dental health evaluation includes: a history and physical exam, an oral survey checking for such things as cancer and missing teeth, ultra-sonic scaling of the teeth and subgingival scaling. Subgingival scaling is critically important. This involves removing tartar and debris from the part of the tooth you can’t see – the part under the gum. The infections that cause tooth loss occur under the gumline where they are not visible. Following the exam and cleaning, a complete polishing is done to remove irregularities in the enamel in order to slow future accumulation of tartar. In some cases, the gum pockets are flushed and treated with antiseptic. At this point, many veterinarians will apply a fluoride or enamel sealant treat-ment. Finally, a treatment plan is developed for the problems found, all necessary treatments are done and instructions are given for home care and any follow-up care that is needed. Pet owners are also taught ways to provide at home dental care to help keep their pet’s mouth and teeth healthy. In order to perform a proper dental exam and treat-ment, it is essential that the pet be under anesthesia. Anesthesia today is very safe using the most modern medications, anesthetic gases and moni-toring by skilled technicians. Care for a veterinary patient under anesthesia is very similar to that of a human patient. While the so called “no-anesthesia pet dentals” may sound appealing, the process has many risks and leaves most pets to suffer in silence simply be- cause no actual treatment is done. This is often performed by unlicensed and untrained individuals who only scrape tartar from the outside of the few visible teeth while your pet is awake (assuming your pet will hold still). The process has no medical benefit whatsoever. Without general anesthesia one cannot remove tar- tar from the inside surfaces of the pet’s teeth, and more importantly, they cannot remove tartar below the gum line. Often charging hundreds of dollars, these people prey on a pet owner’s fear of anesthesia. Sadly, pet owners believe their pet’s teeth are healthy but underlying disease goes undetected and untreated, resulting in tremendous pain, tooth loss and bacterial infections that can spread throughout the body. In some states this practice has been specifically outlawed. So to ensure your pet’s health and comfort, lift your pet’s lip and look at the teeth. Then call your veterinarian for a complete dental exam and treatment. 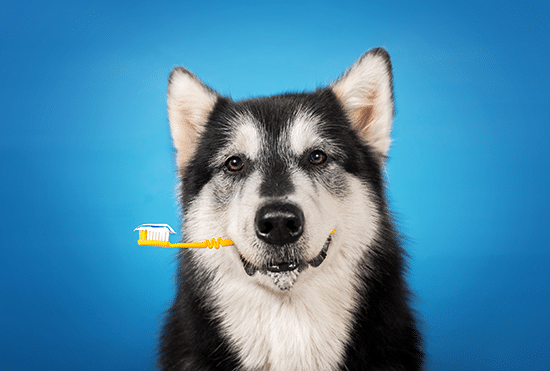 This care is not expensive when you consider the complications and pain associated with untreated dental disease and the years a healthy mouth can add to your pet’s life. 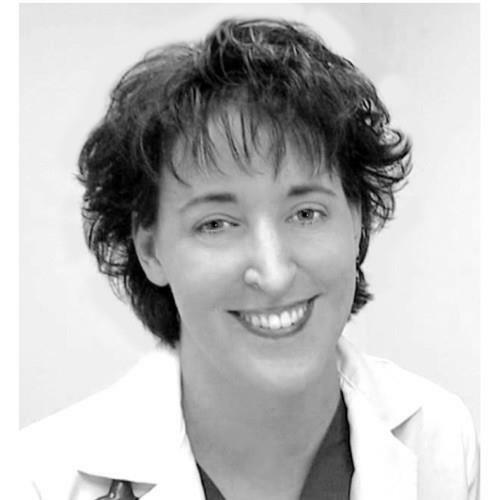 Dr. Brenda Johansen is a licensed veterinarian and graduate of the University of Wisconsin – Madison School of Veterinary Medicine. She practices at Harmony Pet Care in Waukesha and visits all Wisconsin Central Bark® locations monthly to provide veterinary services.